As medieval instruments go, the hurdy-gurdy is uniquely positioned to be effective in a modern setting. Its gritty droning sound fits in well with drums and electronics, a fact that has been somewhat exploited by the band Garmarna. This release finds Garmarna member Stefan Brisland-Ferner teaming up with Totte Mattsson of Hedningarna, another band that has been known to use the instrument. 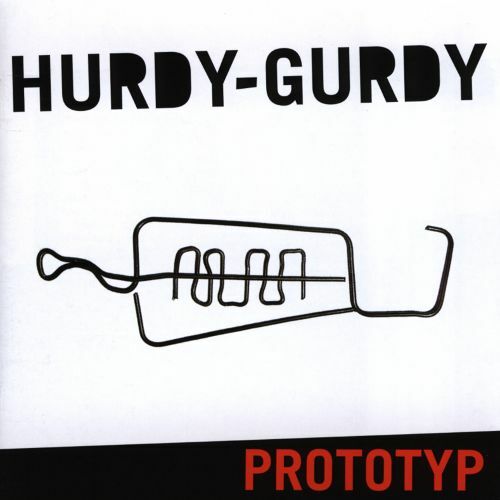 Hurdy-gurdies provide the basis of all the tracks, augmented by both acoustic and electronic percussion, bass and guitar analogs (may be the real thing, may not), electronics, and samples. The energy level is generally high, with hard-driving tempos and aggressive rhythms reminiscent of the heavier material of both bands. Most tunes are based on traditional Swedish melodies or original ones that sound traditional, and the arrangements mix things up in intriguing ways with mangled voices and other sounds. Artfully managed distortion is another key element of the mix, setting the effort apart from many trad/modern hybrids that skew melodic and pretty. There are a few moments of relative calm to interrupt the flow, with spooky atmospheres where you can catch your breath. Prototyp makes a great companion piece to KTU’s 8 Armed Monkey (also reviewed this issue), taking traditional instruments into unexpected modern territory.